DONETSK, July 15./ITAR-TASS/. 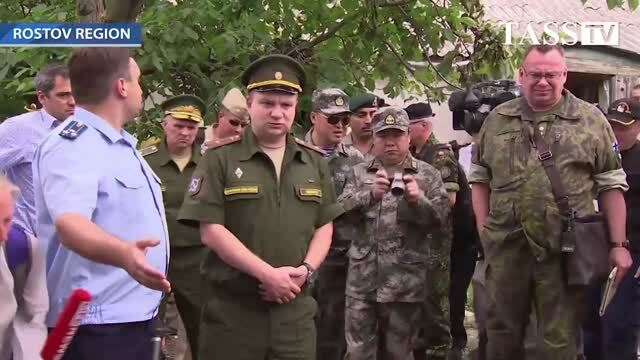 Military attaches from 11 member-states of the Organisation for Security and Cooperation in Europe (OSCE) and foreign journalists have inspected the areas that came under fire from Ukraine’s territory. City prosecutor Dmitry Aristarkhov said six shells had fallen on Donetsk on July 13 from Ukraine’s territory. One man died and two women received injuries, he said. “According to preliminary data, there are 120-mm shells,” Aristarkhov said. Earlier, Russia’s Investigation Committee spokesman Vladimir Markin said seven shells had been fired at Donetsk. One of the shells did not explode. One dead man and one injured woman were reported. Investigators say servicemen of Ukraine’s Armed Forces, members of the National Guard and the Right Sector had put out shells. The Ukrainian Foreign Ministry refused to recognise the attack. Germany’s military attache, Brigadier General Reiner Schwalb said it was very important to find out who put fire at the city. “"The first impression is, as they mentioned earlier, I think it's pretty sad for the people over here. This shows how important it is to develop a peaceful situation pretty soon on the Ukrainian side and with support of the Russians as well,” he said. 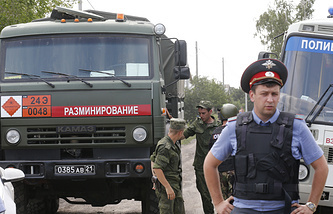 Schwalb said he was satisfied with Russia’s response to the existing problems. “Russia does not conceal the events. Our task is to understand the situation,” he said. 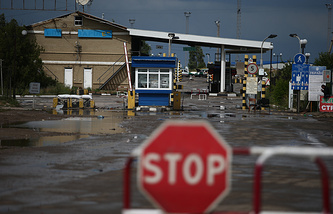 Russia’s Defense Ministry has invited military attaches from 18 countries to learn the real situation at the Russia-Ukraine border in the Rostov region, Deputy Defense Minister Anatoly Antonov said on Tuesday. 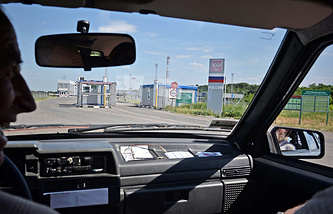 “We have invited military attaches from the U.S., Germany, France, the Netherlands, Belgium, Ukraine, China, Japan and others to visit the Rostov region and the Donetsk cross-border checkpoints on July 15 that were subject to artillery and mortar fire from Ukraine’s territory,” Antonov said.